There’s high density, and then there’s ridiculously high density. The city supervisors yesterday approved a plan to put 75 detached houses on this piece of land (inside the white fence). 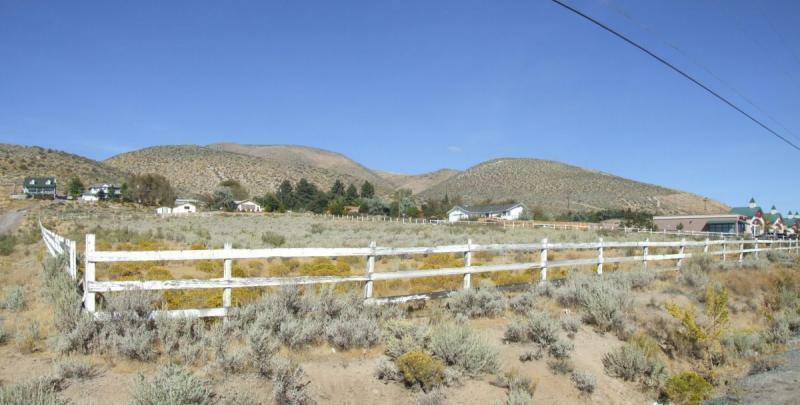 “Clearview Ridge” will be located at the corner of Cochise and Overland Streets in south Carson City, right behind Albertson’s. It will sit on only 3.8 acres, which gives a density of about 20 houses per acre. Each with its own backyard, driveway, and fences. Talk about being squeeeeezed.